Ron and Harry walked in to their office at the Ministry of Magic. They shared an office because they were partners. Kingsley were now the the new premier minister and had gave them several missions since May. Many people had been attacked by dementors or kidnapped. Even some people from Hogwarts. Ron sat down in his chair by his writing desk and Harry sat down on his own writing desk. " This is crazy" Harry sighed.
" I know right? The coffee was out" Ron groaned and slammed down his head into the desk. " Not that" Harry said. " The attacks. I mean, now that the war is over, it should have stopped, but noooo...people gets attacked and disappears anyway"
" There have been three attacks in two weeks almost every month since May" Ron said. " Neville told me even some former Hogwarts students had gone missing" Harry said and gave Ron a file about the information.
" Cho Chang? The Cho Chang?" Ron said with a surprised expression. " Yes, and look here"
" Hannah Abbott?" " I almost forgot Katie Bell "
" I can&apos;t imagine why though..."
Around 8 pm, both Harry and Ron was on their way home. Harry lived not far from Hermione&apos;s place, and he was kind enough to let Ron stay with him.
" Want to get an ice-cream from the Diagon Alley?" Ron wondered.
" I don&apos;t know, we&apos;re having work tomorrow and...." " Come on, just one. We&apos;re worth it" Ron said and dragged him to the alley they spent so much time in when they were kids.
" Is this just because you didn&apos;t get your coffee earlier today?" Harry chuckled and was just about to open the door when he suddenly froze.
" What is it, mate?" Ron said worriedly and took out his wand.
" Do you hear that?" Harry said and took out his wand as well. Ron tried to listen with him and suddenly he heard it too. A loud scream, not from one woman, but two.
" It comes from Knockturnalley!" Ron whispered, and they started to run as fast as they could. When they got there, they saw two dark figures holding two girls up against a wall. The two dark figures were both death eaters.
" Stupify!" Ron yelled but one of two death eaters blocked the spell and let go one of the girls.
" Levicorpus!" 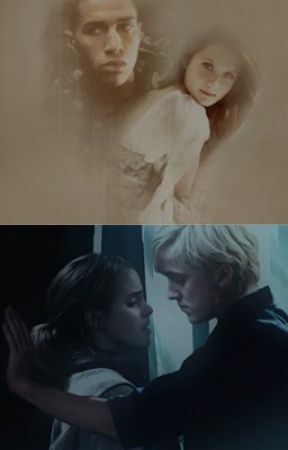 Harry yelled and that curse hit the other death eater, and the other girl was also free. But the death eaters disappeared quickly and they didn&apos;t get the chance to catch them. Harry and Ron hurried towards the girls and sat down beside them. " Are you okay?" Harry said. It was so dark they couldn&apos;t see their faces.
" Lumos" Ron mumbled. 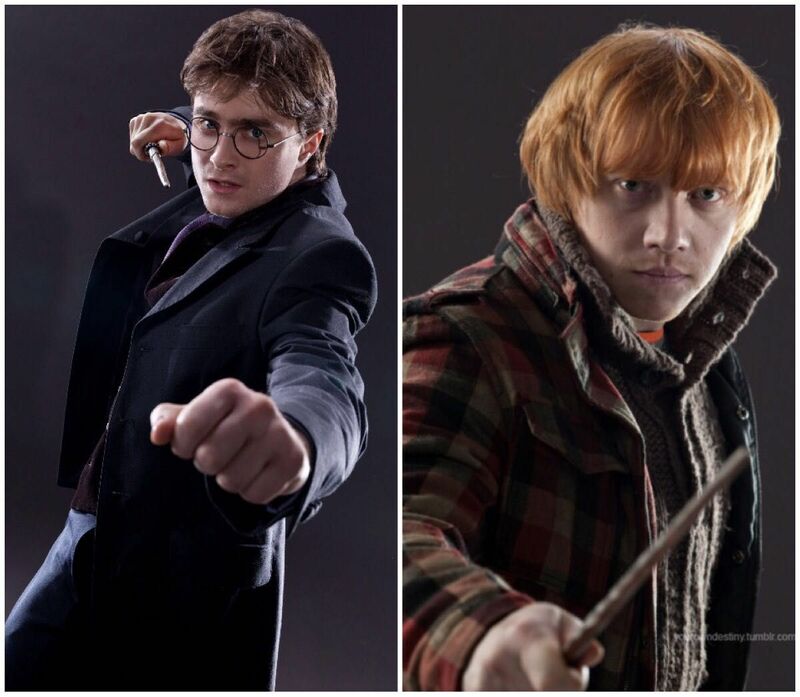 Both Harry and Ron got very surprised when they saw the faces.
" Pansy?" Ron said shocked.
" Astoria?" Harry said and couldn&apos;t find another word to say in that very moment.